With 591bhp, a 199mph top speed and a the ability to lose its roof, does the Ferrari Portofino manage to be both a sports car and grand tourer? 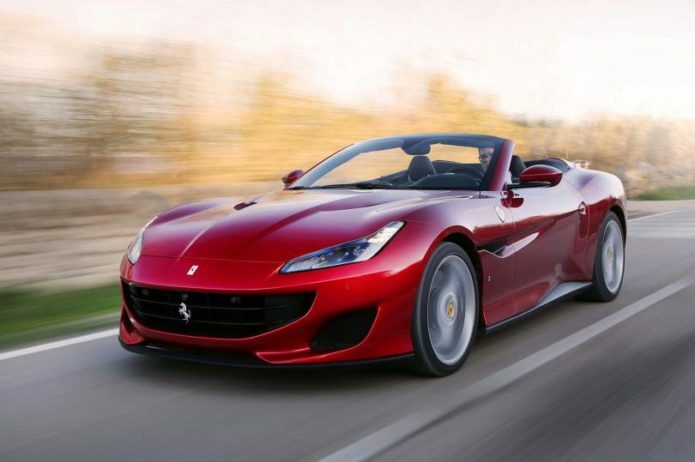 When it arrived back in 2008, the Ferrari California represented a number of firsts for its maker: first hard-top convertible, first front-engined car with a V8 and first model with a dual-clutch automatic gearbox. Indeed, while Ferrari has a select history of building 2+2-seat grand tourers, it had never taken the roof off one or pitched it as an entry-level model. And the Italian manufacturer’s unfamiliarity with the concept showed. The California was a decent car, but not an exceptional one, and while it unearthed many new customers for the brand, it didn’t sell in sufficiently high numbers. Its all-new replacement represents a second throw of the dice. Called the Ferrari Portofino, it’s comprehensively restyled and ostensibly rethought off the back of customer feedback, while remaining both a four-seat drop-top and Ferrari’s cheapest model, being priced from £166,180/$232,652. Anybody lucky enough to have that sort of budget is also likely to consider the Aston Martin Vanquish Volante and Mercedes-AMG SL65, as well as the forthcoming Aston Martin DB11 Volante and Bentley Continental GTC. Much of the development work done on the Portofino was focused on producing a stiffer, faster car. It’s some 80kg lighter than its predecessor, and that, combined with a more powerful version of the same 3.9-litre turbocharged V8 petrol engine that powered the outgoing California T, makes it effortlessly quick. The Portofino isn’t quite as docile or convenient around town as some of its extremely well-mannered rivals, such as the SL, but the enhancements at the other end of the scale are notable. It features firmer suspension and the latest version of Ferrari’s superbly tuned driver aids, including an electronic rear differential, a device that helps to make the handling seem foolproof without limiting its playfulness. These, along with very direct steering and an engine that sounds fabulous on song, mean the Portofino can justly claim to deliver a better ‘Ferrari’ driving experience than any iteration of the California managed and feel more agile than the SL and both open-top Aston Martins. The downside is that a more rigorous approach to going quickly has not necessarily made the Portofino a more hospitable place to be. Even with the latest generation of adaptive dampers, the suspension struggles over bumpy road surfaces, particularly in town at low speeds. It’s a forgivable hindrance, given the gains made elsewhere, but one significant enough to ensure that the Portofino falls short of the ride quality benchmark achieved by its rivals. Sticking with a hard-top roof has some obvious advantages: prominent among them being how fabulous the car looks with it up. It takes 14sec to unpeel it again, which isn’t hugely quick but probably brief enough to manage in traffic – helped by the Portofino’s ability to continue the process while driving at low speed. The downside, rather inevitably, is that the roof takes up rather a lot of space when it’s folded down, and while Ferrari has worked hard to make room for two bags, the Portofino’s boot isn’t what you’d call spacious – something that also somewhat handicaps its status as a grand tourer. No mistakes have been made in the passenger area, however, where the redesigned interior is immediately more pleasing to the eye than the California’s and even slightly more kindly to those in the rear seats, albeit only to the modest tune of 50mm of extra leg room. Ferrari has also addressed some of the issues with the California T’s controls layout (including rethinking the indicator switches on the steering wheel for better access) and has introduced a new 10.3in touchscreen for its latest infotainment system. The result is significantly more user-friendly than that of the California T.
However, if you’re looking for something to cross a continent in or whisk you about in completely unruffled style, there are superior options available.